Petrainer IS-PET998DB2 330 yd Remote Dog Training E-Collar, 7.67 by 1.96 by 5.78"
Petrainer IS-PET998DB2: Built-in high capacity lithium rechargeable batteries(500mAh for transmitter and 240mAh for receiver). Both transmitter and collarreceiver can be charged at the same time. Completely waterproof collarreceiver. Convenient, easy-to-read Backlight LCD screen that shows thestimulation level. Fits all dogs. From 15 to 100 lbs. with a TPU collar sizefrom 7 to 27 inches long. 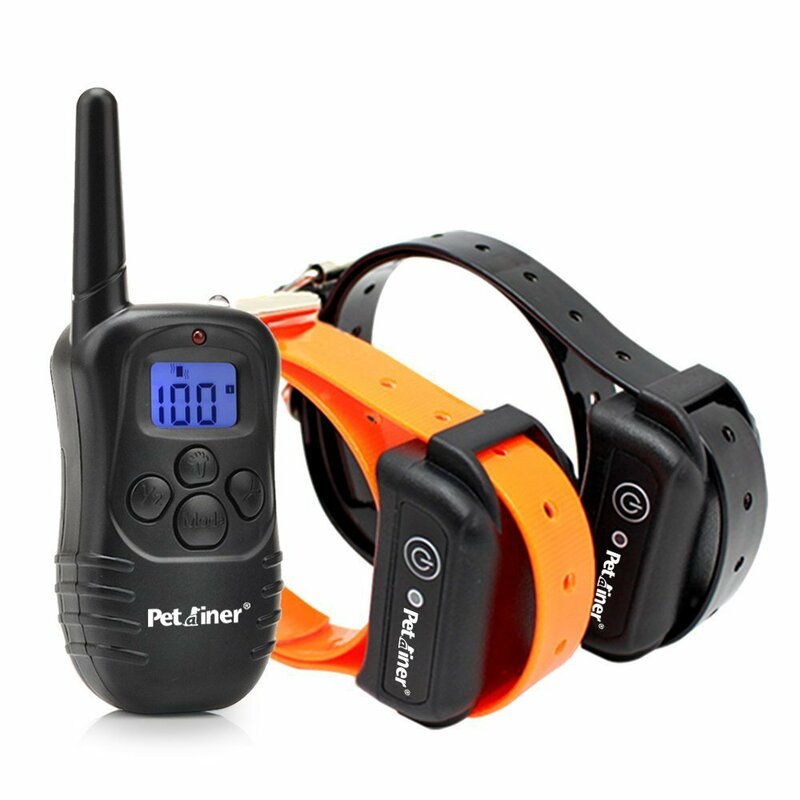 Quickly synchronize the transmitter with collarreceiver, within 10 secondsIt has 100 levels of corrections of static shockand vibration, you are able to find the right correction for your pet'spersonality and size.100% tested product with 1 Year Free ReplacementWarranty; BUY WITH CONFIDENCE.